NWS Sioux Falls issued extreme blizzard warning in portions of northwest Iowa and southwest Minnesota. 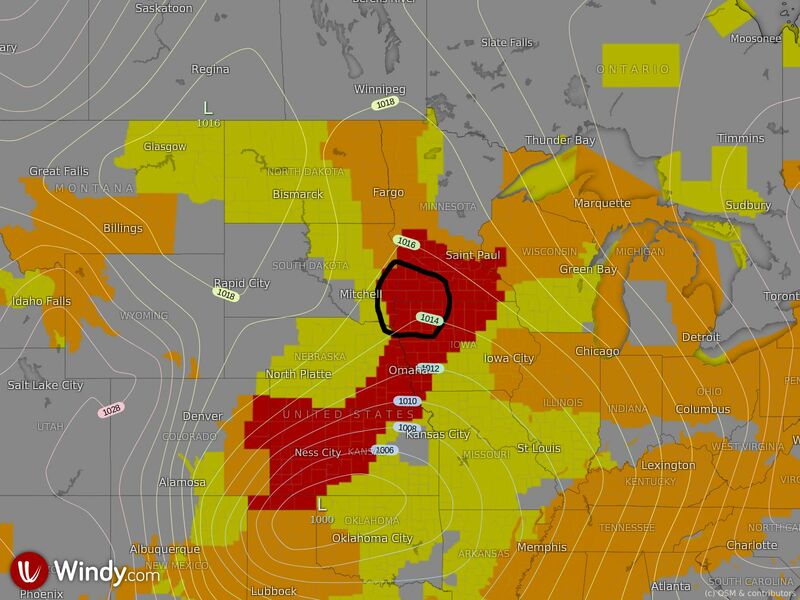 Blizzard conditions are expected in Jackson, Pipestone, Osceola, Cottonwood, Lincoln, Nobles, Murray and Lyon. Additional snow accumulations of up to 2 inches are possible by Saturday evening. Winds gusting is expected as high as 55 mph on Saturday night and Sunday. Read the full warning on Windy.